All candidates needs to apply for the above mentioned post on or before 13th January 2015 through sending mail of all required documents. National Small Industries Corporation Limited (A ministry of Micro) is an ISO 9001:2008 certified government organisation. Educational Qualification and Experience: Please refer original advertisement. Age Limit: As per mentioned in the advertisement for respective posts. 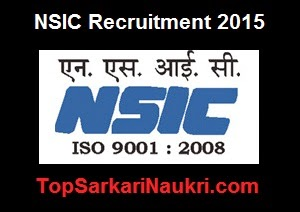 Deputy General Manager (HR) National Small Industries Corporation Ltd.
Best Place to find all sarkari-naukri-2015 updates.